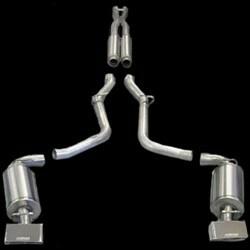 Looking for that little extra to add to your SRT-8 Challenger, we have the perfect product to top your HEMI Build. Let your ride out perform the competition with high honors and awesome sound with Corsa Cat-back Exhuast. I know what you’re thinking I don’t know how to weld and don’t live near an exhaust shop. Well the great thing about corsa is it’s a complete bolt in installation including all the necessary parts and a installation manual for the less inexperience user. Design for a Straight-through, 2.75” nonrestrictive design specifically tuned for the Dodge Challenger. Patented CORSA Reflective Sound Cancellation™ “NO DRONE” Technology will all ways have HEMI performance engine sounding excellent. Flow bench-testing shows up to a 14% GAIN in exhaust flow vs. the stock system. Compiling with government requirements, By being 50 state emissions legal and meeting all standards of the 95 DB requirements of SAF testing. (J1169-May 1998). In final what is better than a Limited LIFETIME WARRANTY for as long as you own your Dodge Challenger. 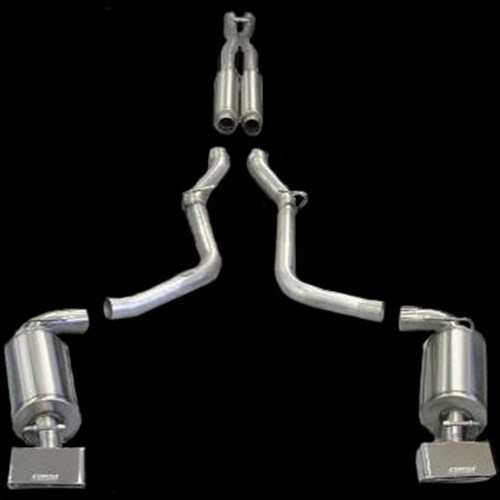 This Xtreme exhaust produces a louder and meaner exhaust note than Corsa's Sport systems.